Buying a new vehicle can represent a huge investment on your part. As such, you’ll want to ensure you receive a good deal for the expense. One factor to weigh considerably is a vehicle’s fuel efficiency. SUVs have come a long way to deliver performance, style and efficiency features normally reserved for sedans. However, there are still SUVs out there that have excellent performance and technological features, but fail to deliver on the efficiency end. AxleGeeks compiled information on 2015 SUV models to find the biggest gas-guzzling culprits. Here is a look at the 15 SUVs from 2015 with the worst fuel efficiency. The 2015 Chevrolet Tahoe earns 23 mpg highway and 16 mpg city for a combined 19 mpg. Its highway mileage is slightly better than what the average 2015 full-size SUV crossover delivers. Along with decent fuel efficiency, the Tahoe does exude amazing capabilities, like its towing capacity of up to 8,500 pounds. With the same fuel economy as the Chevrolet Tahoe LS, this car’s fuel efficiency pales in comparison to the 19 mpg city, 28 mpg highway and 23 mpg combined mileage of 2015 vehicles in aggregate. This SUV is perfect for families on the go, as it comes with built-in 4G LTE Wi-Fi, 13 charging ports for tech devices and 121 cubic feet of cargo room. Drivers will enjoy the power this SUV delivers with its 8,300 pounds of towing capacity making this is perfect for hauling equipment. This car gets 15 mpg city and 21 mpg highway for a combined 18 mpg fuel economy. This is comparable to the average for full-size luxury SUVs. The new generation of the Cadillac Escalade bolsters an impressive torque of 460 ft-lbs, giving it the capacity to haul up to 8,200 pounds with ease. This SUV also offers touches of luxury with heated seats and a 16-speaker Bose CenterPoint Surround Audio System. This version of the Escalade offers the same fuel economy, matching it up to its class. Overall 2015 SUVs and crossovers offer 18 mpg city and 25 mpg highway for a combined 21 mpg. With voice recognition, a head-up display and navigation tools, the 2015 Cadillac Escalade ESV offers a mobile command station to make your drives enjoyable. Adding to that enjoyment is the 6.2L V-8 engine that can tow up to 8,000 pounds. The Inifinity QX80 offers less fuel efficiency than its class at just 14 mpg city and 20 mpg highway for a combined 17 mpg fuel economy. The interior of the 2015 Infiniti QX80 personifies luxury with its Finish Ash Wood accents and Truffle-Brown leather appointed seats. Under the hood, the vehicle is quite capable of handling your demands with a towing capacity of up to 8,500 pounds. With a little higher city fuel economy, the Lexus GX 460 offers drivers 15 mpg city and 20 mpg highway for a combined 17 mpg. The 2015 Lexus GX 460 is perfect for your adventures, as it features Trailer Sway Control, a towing capacity of 6,500 pounds and three rows of seats to give you plenty of space and power for your trips. This vehicle is 24% less efficient compared to its class of 2015 midsize SUVs and crossovers. Owners get 13 mpg city and 19 mpg highway for a combined 16 mpg. Its 6.4L HEMI engine delivers awe-inspiring power, generating torque that almost doubles the average output for its class. The result is an SUV that has the capacity to handle your on and off-road adventures easily while hauling up to 7,200 pounds. With 13 mpg city and 19 mpg highway, the 2015 Nissan Armada SV is 14% less efficient than its class average for full-size SUVs and crossovers. Despite only earning a combined 16 miles per gallon, the 2015 Nissan Armada SV has some great qualities—notably it’s one of the most affordable full-sized SUVs available. It also generates impressive power evidenced by its 8,200 pounds of towing capacity. Compared to 2015 midsize luxury SUVs and crossovers, the 2015 Land Rover LR4 is 20% less fuel efficient, going just 14 mpg city and 19 mpg highway. This SUV exceeds its class average in horsepower and torque output while maintaining its capability with a towing capacity of 7,716 pounds. Speaking of capability, its Terrain Response reconfigures the SUV’s throttle, traction and engine settings to enhance drives over varied terrains. Compared to other 2015 midsize luxury SUVs and crossovers, this vehicle is 20% less efficient. Drivers get 14 mpg city and 19 mpg highway. The 2015 BMW X6 M boasts incredible power illustrated with a 0 to 60 time of four seconds and its ability to haul a payload capacity of 1,170 pounds. Its aerodynamic design results in a striking body stance that also optimizes airflow for better performance. City driving is a struggle with this vehicle, getting just 13 mpg in stop-and-go traffic and 17 mpg highway. BMW equipped this SUV with smart features such as its Parking Assistant, which uses sensors to search for appropriate parking spaces and smoothly park the vehicle into one. The 2015 BMW X5 M also personifies power with its 567-horsepower output and 1,170 pounds of payload capacity. Compared to 2015 full-size luxury SUVs, this car is 17% less fuel efficient. Its 13 mpg city and 18 mpg highway give it a combined 15 mpg. While on the low end of the price list for full size SUVs, the 2015 Toyota Sequoia SR5 only earns a combined 15 mpg, making it one of the least-efficient options. Its towing capacity of 7,400 pounds, spacious interior with second-row climate control and premium audio system are in its favor. At 17% less fuel efficient than comparable 2015 full-size luxury SUVs, this car gets 15 mpg combined: 13 mpg for city driving and 18 mpg on highways. Handsome features such as a 10-airbag system, foldable seating in the second and third-rows and a towing capacity of 8,200 pounds give this SUV the versatility and capability families demand. This car is 22% less fuel efficient than its full-size luxury SUV counterparts. With a combined 14 mpg, this car gets 12 mpg in cities and 17 mpg on the highway. 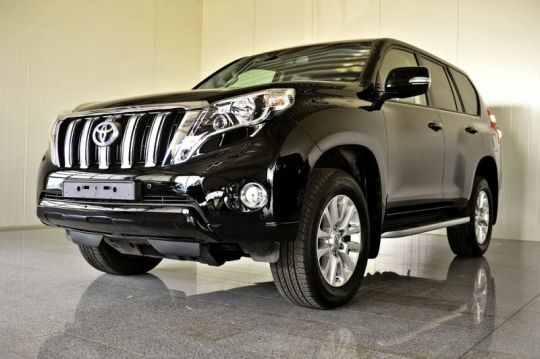 This eight-passenger SUV is the perfect blend of refined styling and rugged performance. With a towing capacity of 7,000 pounds, a power open/close rear door and versatile cargo solutions, you’ll find this SUV has everything you want, provided you don’t mind visiting gas stations often. At a whopping 35% lower fuel economy, compared to 2015 midsize luxury SUVs and crossovers, this car only offers its drivers 13 mpg combined. City driving results in 12 mpg efficiency, whereas highway driving is 15 mpg. Though this SUV won’t be friendly on your wallet, it does have some great features that offset its lack of efficiency. Specifically, its performance features like full time four-wheel drive system allow this SUV to handle steep inclines while towing up to 7,500 pounds with ease.